Jew Watch is a website that claims to "report accurate information regarding Jewish ownership and control over mass media and politics", in other wordsit is a conspiracy website pushing the myths that Jews control the media and that Jews control America. Jew Watch is run by one Frank Weltner who is reportedly a member of the far right group the National Alliance (SPLC Reports). Jew Watch has been described as a "fanatically anti-Semitic hate site" by Jewish Journal in a story about Jew Watch topping the google rankings for a search on Jew back in 2004. Search Engine Watch reports that Google wrtoe an apology to the Anti-Defamation League after the ADL wrote to google to complain. YNet News also comments on Jew Watch noting that Steven Weinstock, a New York real estate investor kicked off the campaign with an online petition against Jew Watch that was later hacked. Zionism On The Web carries a story that comments on the problem with search engine algorithms without manual intervention and has launched an expert search engine that filters out much of the antisemitic content, partly in a response to the Jew Watch problem. "The results for Zionism are often as bad or worse than those for Jew", Andre Oboler CEO of Zionism On The Web comments. Claims on Jew Watch include: the United States is ruled by a Jewish-Occupied Government, that Communism is a Jewish plot (based on the evidence that Karl Marx was Jewish) to enslave the world, and that Jews control the world finance system and control the American and world media. Jew Watch contains sections on the following topics, note that the section name gives the "story" Jew Watch is trying to invent, the content within the section may be complete lies, or legitimate content that is strecthed beyond breaking point by editorials. The last section is relativly new to Jew Watch and is an attempt to attract the far left into adopting the arguments on Jew Watch which are in reality Jew Watch's bread and butter far right neo-Nazi propoganda. Muslim forums and forums of the political left have seen people posting references from Jew Watch, but in all cases that we've seen, administrators have recognised Jew Watch for what it really is and removed links to Jew Watch warning their activists to check their sources more carefully. Most references to Jew Watch and forum links ot Jew Watch are clearly antisemitic in nature and appear on far right websites. In October 2006 Missouri's Attorney General Jay Nixon took Frank Weltner (who he notes is a "self-proclaimed white separatist") the owner of JewWatch to court after it was reported that he set up a number of web sites with names related to Hurricane Katrina e.g. donatekatrina.com and katrinafamilies.com and with picture of the victims, then when people chose to donate they were directed to another site he owned and also used to collect money for JewWatch. As the Attorney General put it, visitors were "redirected to a site that collected money for an anti-Semitic and racist organization". The St.Louis City Circuit Judge Julian L. Bush perminently barred Frank Weltner and his site internetDonation.org from Soliciting funds in Missouri for charitable purposes. After the case the Attorney General said "Anyone who takes advantage of the generosity and compassion of his fellow citizens in an attempt to fund his hate-filled Web site should never again be in the position to solicit charitable funds from well-meaning Missourians,"
"Jewwatch is trying to make the reader believe that there is a Jewish conspiracy against the world, [and that] the Holocaust never happened - children of survivors of the holocaust group comment on Jew Watch. "an anti-Semitic and racist organization" - Attorney General Jay Nixon (Missouri). Hostingtech has a very good article on Jew Watch and hosting policies and why Jew Watch occasionally vanishes, see the article Hate Sites, Their Hosts & Freedom of Speech for details. Jew Watch may be a simple old fashioned antisemitic hate site, but it is included in our list of anti-Zionism sites due to the nature of its content and Jew Watch's attempts to shift conent so it is more acceptable to Anti-Racist campaigners by substituting Jew for Zionist on some pages. 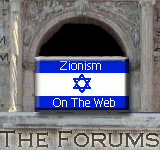 If discussing Jew Watch in a forum or blog, please link to this page and NOT to the Jew Watch site. Links to Jew Watch increase its popularity and help it spread hate.